25 Instant Pot pasta dishes to serve up for any occasion. Pasta is a pretty popular dish whether it is mixed with white sauce, marinara, or even tossed into a soup. Whatever your pasta preference is, I got you covered. Feast your eyes on 25 Instant Pot pasta dishes to serve up for any occasion. Pasta with vegetables, soups that will rock your world, pasta with chicken, shrimp, and the list goes on. 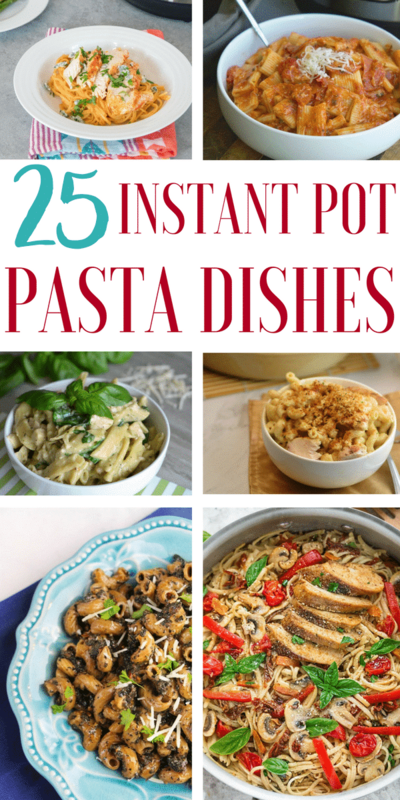 If you love pasta, you will for sure swoon over these no-fuss instant post pasta dishes. 10 Minute Instant Pot Spaghetti| Easy and delicious is a must have on your weekly menu. It is a wonderful dish for those busy evenings or last-minute meals. Add a lettuce salad and some bread and you will have a great meal. Instant Pot Creamy Garlic Veggies & Pasta| Fresh zucchini, white wine, melted cheese, heavy cream and a few other ingredients work amazingly together to create this mouth-watering meal. Cooking amazing food was never so easy! 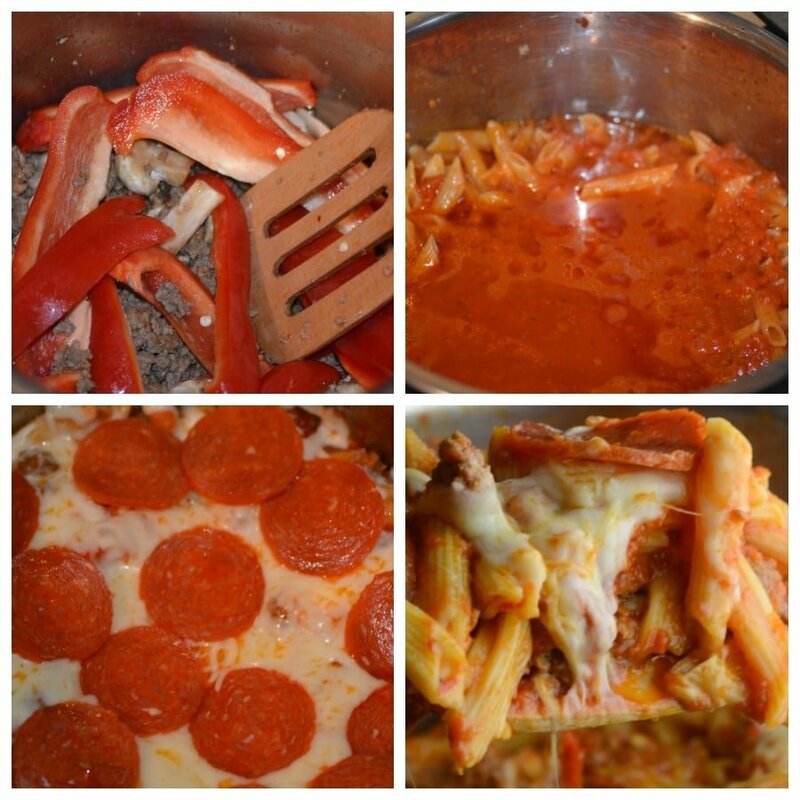 Instant Pot Pizza Pasta| Ten minutes and a few simple ingredients and you will fall in love with this yummy pasta meal. It’s zesty, filling and your taste buds will be begging for more after the first bite. Instant Pot Chicken, Spinach, And Artichoke Pasta| Anything with spinach and artichokes are bound to be amazing, but by adding chicken it takes it to a whole new level of deliciousness! Instant Pot Pasta E Fagioli Soup| This soup is healthy and made with the most flavorful ingredients. This is a perfect meal for a cold winter night. Instant Pot Cheesy Taco Pasta| Add a little spice to your meal with this fantastic pasta dish. This is great for a meal at home or your next potluck. It’s a crowd pleaser! Instant Pot Buffalo Chicken Pasta| This tangy buffalo chicken pasta is sure to impress with its amazing flavors and aroma. Add some cheesy breadsticks and a fresh fruit salad for a complete meal. Pressure Cooker Pasta With Mediterranean Vegetables| Fresh juicy tomatoes, black olives, crushed garlic, red peppers and more come together to make this beautiful and tasty meal. Perfect one pot meal. Instant Pot Beef And Beer Stew| Delectable comfort food that is sure to keep your tummy full and your heart happy. Serve over mashed potatoes and you have a winning dinner! Cajun Chicken Pasta With Shrimp & Sausage| One pot cajun food at it’s finest! It’s creamy, has tons of flavor and anything with shrimp & sausage is for sure going to be a winning recipe. 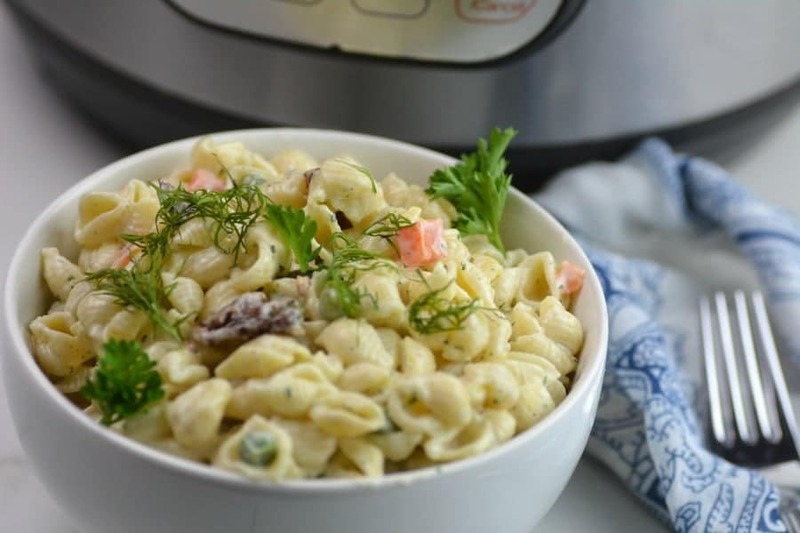 Instant Pot Copy Cat Bacon and Ranch Suddenly Salad| This recipe is so much more amazing that boxed pasta salad. It’s creamy and has bacon so you know it will be so good! Perfect side dish for your next barbeque. Perfect Instant Pot Mac and Cheese| This super simple mac and cheese is a game changer! It’s perfectly cheesy and even the kids will love it. 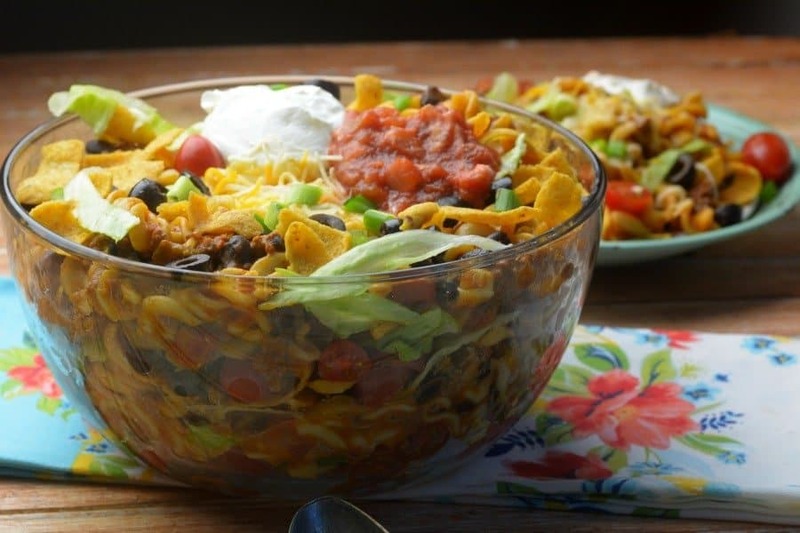 Instant Pot Cheesy Taco Pasta| Be prepared to devour this awesome pasta meal. Mixing taco flavorings with pasta it’s sure to be a winner. Instant Pot Beef Stroganoff| This Russian cuisine one pot meal is a true show stopper. It looks gorgeous and has a variety of spices. Instant Pot Ham Alfredo| Simple recipe that will be gobbled right up! Ham, melted mozzarella cheese, parmesan and alfredo sauce go together to create an unforgettable meal. 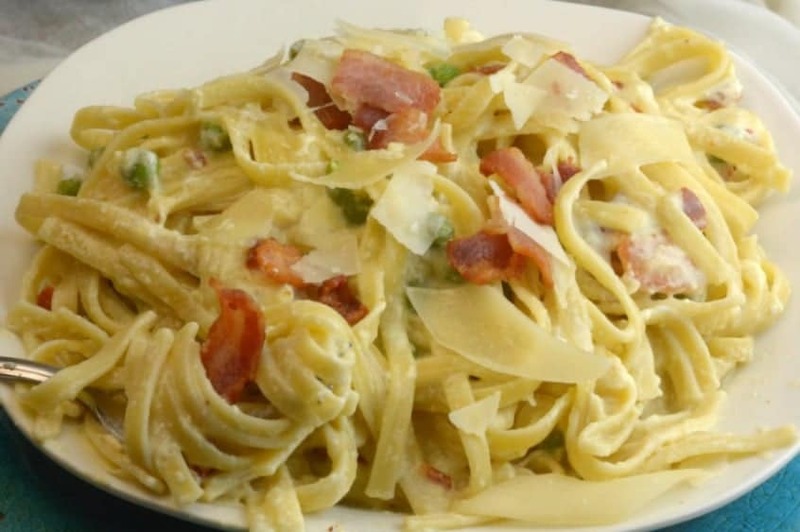 Instant Pot Pasta Carbonara| This easy instant pot recipe is so tasty that it makes it feel like you brought Italy to your home. You can’t go wrong with bacon, cheese, and heavy cream. Pair with some garlic bread and you will be in food heaven. Chicken Spinach Artichoke Pasta| In about 30 minutes you can whip up this easy meal that is super tasty. This is a perfect dish for your next family gathering! Instant Pot Cheeseburger Macaroni| Feel like a kid again when you try this simple comfort food. Cheddar cheese soup gives it a great creamy texture that is sure to please. Instant Pot Mushroom Pasta| This stunning meal doesn’t even have meat! The earthy flavor of the mushrooms is delectable! Instant Pot Shrimp Scampi| Holy mother of shrimp! Once you take one bite you will be addicted and will want to add this to your recipe rotation. Instant Pot Red Lobster CopyCat Cajun Chicken Alfredo| Restaurant style food made easily in your own kitchen is sure to be a winning recipe. You will be shocked how simple it is to make! One Pot Tuscan Chicken Pasta| You can almost hear the Italian style music when you break out this dish! This meal is bursting with delicious Italian flavors. Instant Pot Chicken Parmigiana| Impress family and friends with this show-stopping chicken dish. It is an amazing meal in itself or you could add some fresh vegetables as a side item. Easy Instant Pot Pasta And Meatballs| Can you ever go wrong with pasta and meatballs? This recipe won’t disappoint with how simple and tasty it is. Instant Pot Goulash 4 Minute Meal| Goulash is America’s sweetheart when it comes to comfort food. It tastes fantastic and is so quick and easy. Keep your stomach happy with this meal.